The Imagine Ocala is a super entry level mountain bike for the boy becoming a teenager. 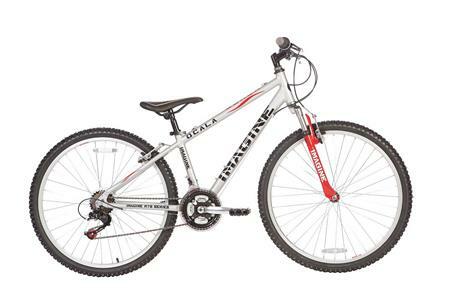 It is a versatile MTB that will suit any rider whether out for a leisure cycle or riding to school or around town. It has a lightweight aluminum 14” frame and SR Suntour front suspension for extra comfort making it a perfect introductory model to MTB riding.